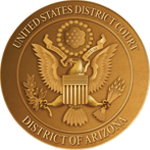 District courts are reporting that citizens in their districts have received phishing e-mails requesting personal information such as social security numbers and mothers’ maiden names. There have also been reports of citizens receiving phone calls from individuals claiming to be with law enforcement. The caller will provide a badge number and possibly a phone number for the potential juror to call to confirm their identity. These individuals claim the potential juror failed to appear for jury duty and as a result, a warrant has been issued for their arrest unless they pay a fine. In order to pay the fine, the potential juror is instructed to purchase a pre-paid money card. Federal law enforcement will never contact a juror by e-mail or phone and request personal information or the payment of a fine. If a juror fails to appear for jury duty, the court will make contact with the juror by mail. The written correspondence will direct the juror to contact the jury office to explain the failure to appear and to reschedule their service. Federal law enforcement and court staff will never initiate phone calls or emails requesting personal information such as social security numbers, mothers’ maiden names, credit card numbers, bank account numbers, etc. If you have received a suspicious e-mail or phone call, DO NOT give any information to the caller. Please contact the jury office at 602-322-7278 or 1-800-736-7322 to report such activity. Please click the link below if you wish to view a brief video regarding these jury scams. Judiciary Warns Public About "Juror Phone Scams"
Please click here to see a press release from the U.S. Marshals Service regarding jury scams.